Home | PARTY SUPPLIES | DECORATIONS | Dinosaur Chocolate Rock Candy, 1 lb. Dinosaur Chocolate Rock Candy, 1 lb. These unique milk chocolate multi-colored rocks are an amazing favor or edible decoration for any event. 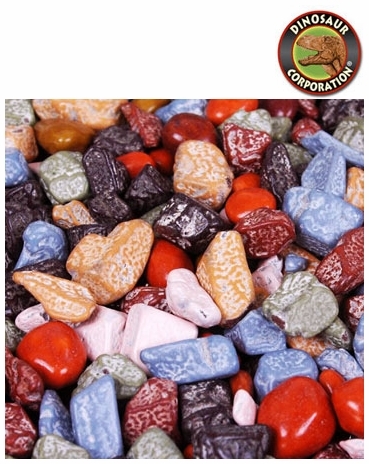 Chocolate rocks candies are designed to look like brightly colored river rocks. Serve these colorful chocolate rocks as party favors for a kid's birthday or outdoor celebration, and your guests will surely get a kick out of how realistic they look. Rock candy will add color to a candy buffet or dessert table.